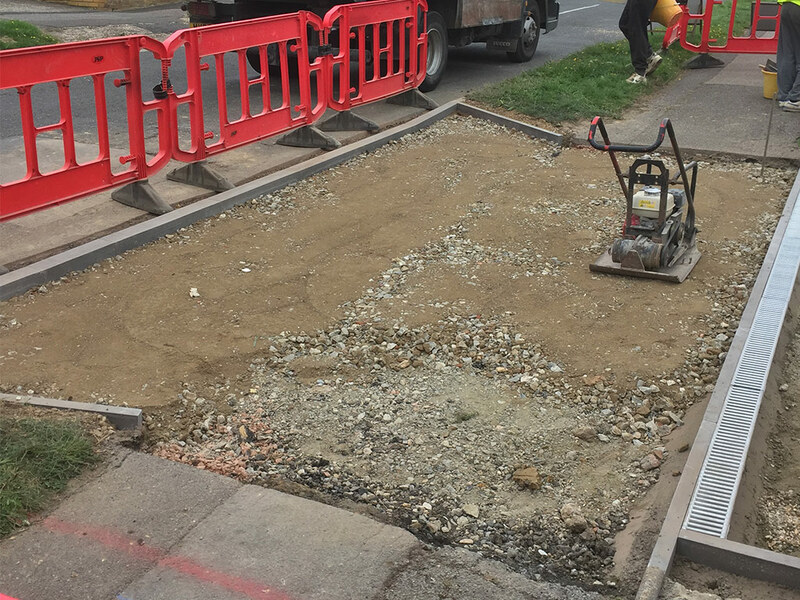 The team at P&D Driveways not only design and install stunning driveways, we are also local authority approved contractors of vehicle crossovers (otherwise known as dropped kerbs). With many years of experience within this specialist area of work, our team are qualified and highly trained in the correct installation of vehicle crossovers for homes and commercial premises. We can provide impartial advice and assist with completing the application for consent to install a crossover and as experts in the trade, our work is fully insured and guaranteed. What is a Vehicle Crossover (or dropped kerb)? A vehicle crossover allows you to legally drive over a footway to reach your property / driveway. If you are coming from a highway to cross the footway then it is actually illegal to do so without a local authority approved crossover. 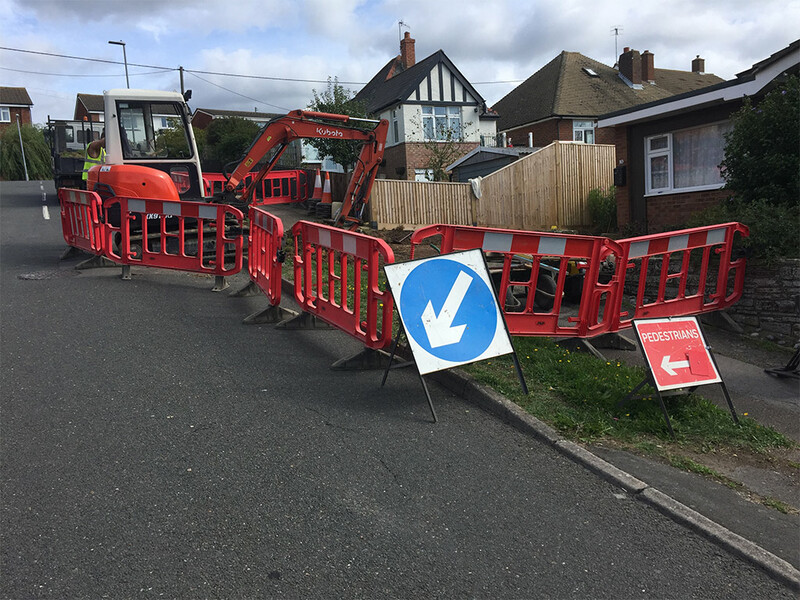 Similarly, driving over the footway without a crossover can damage your vehicle and the utilities (pipes underneath the surface), so it is vital you have one installed by a professional, approved contractor. The kerb is lowered, and the crossover is constructed to strengthen the pavement in order to prevent any damage to the surface or utilities below. Dependent upon your local authority there are various applications and procedures you have to follow to adhere to their regulations. 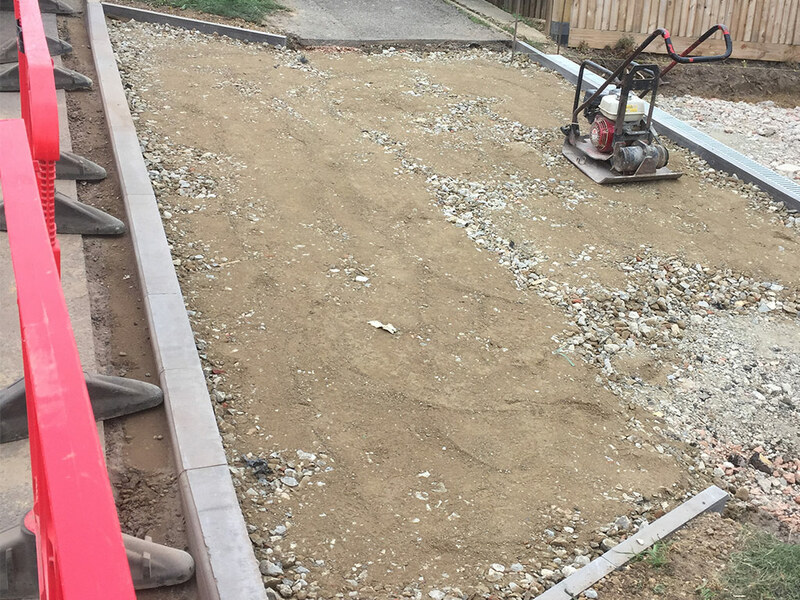 P&D Driveways are approved contractors for East Sussex County Council, so we have a detailed understanding of the requirements and applications required when installing a vehicle crossover legally within the East Sussex area. How much does a Vehicle Crossover cost? This is completely dependent upon the size of the footway that is used to access the driveway. We offer a free site survey and will provide you with an accurate quote prior to any work being undertaken. From installing new crossovers to extending existing ones, our team work to the highest local authority standards and offer cost effective rates. If you would like more information or some friendly advice on the current legislation and what is required legally when installing a dropped kerb, please call us on 01323 486 760.